Ships today if you order in the next 2 hours 40 minutes. You can't get the nutrients your body needs unless your digestive system can properly break down the food you eat. That's why people of any age can benefit from supplemental digestive enzymes. 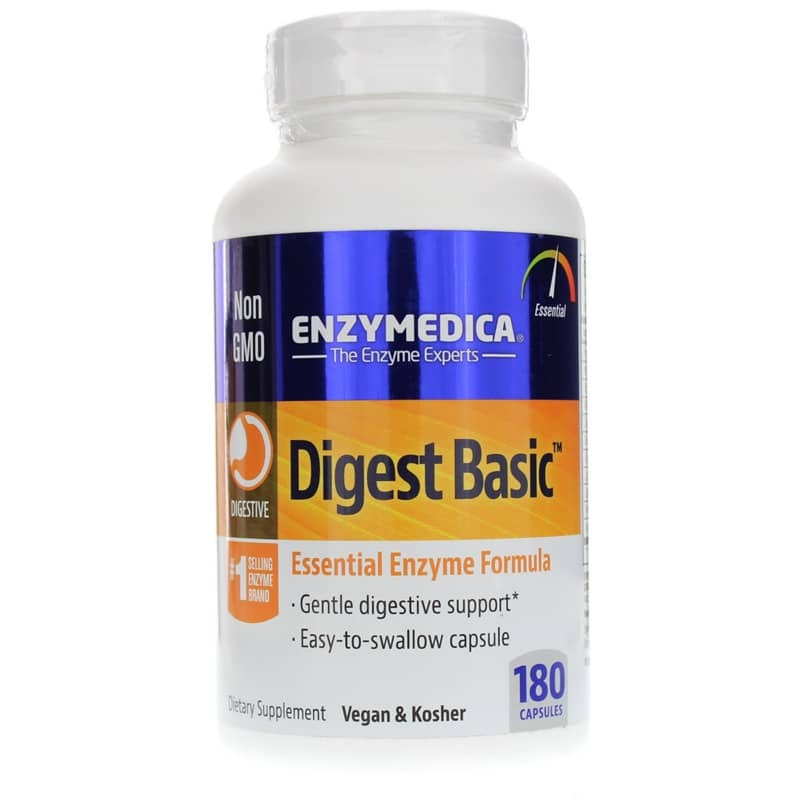 Digest Basic from Enzymedica provides a blend of essential enzymes with a gentle potency that can help you digest all major food groups. Digest Basic is created with Enzymedica's exclusive Thera-blend technology, which combines the plant-based enzymes protease, lipase, amylase, and cellulase. Together they could help you and your family better digest proteins, fats, carbohydrates, dairy and fiber. 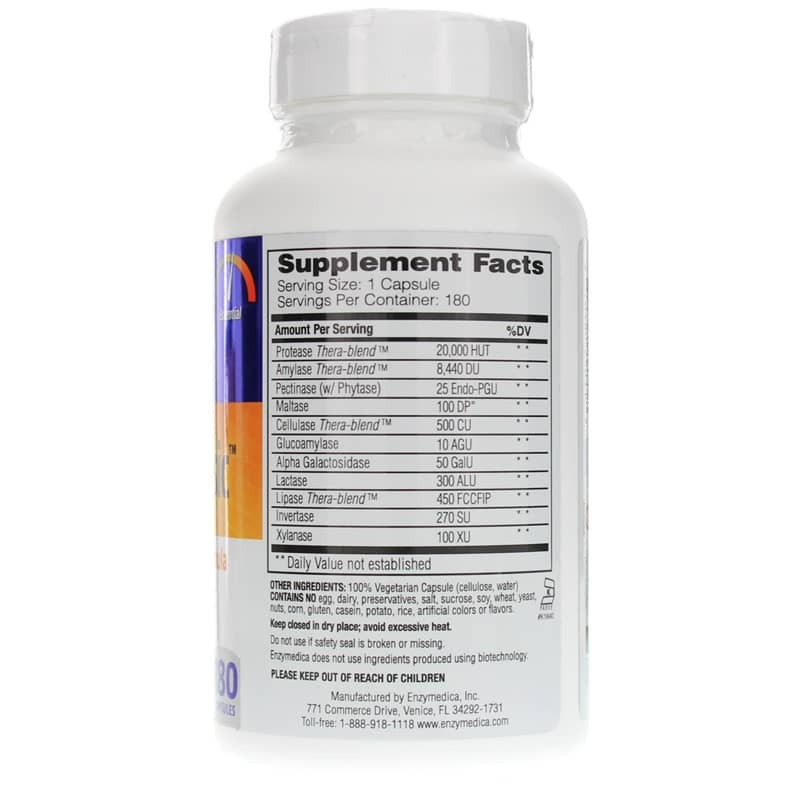 Digest Basic is also beneficial for digesting cooked or processed foods, which have far less - if any - enzyme activity. This product could provide the extra support you need to process those foods efficiently. Thera-blend digestive enzymes work together to assist your body in digestion - lasting longer and providing further-reaching benefits than single enzyme products. With Digest Basic, each enzyme targets a specific type of food. Get Digest Basic from Enzymedica today and get the most out of what you and your family eat! Contains NO: GMOs, egg, dairy, preservatives, salt, sucrose, soy, wheat, yeast, corn, gluten, nuts, casein, potato, rice, artificial colors or flavors. Vegan & Kosher. Adults: Take 1 capsule with each meal. More may be taken as needed. For higher enzyme potency, Enzymedica's Digest or Digest Gold may be helpful. Digest Basic is a great enzyme to go to. To those on the fence about this product. I would buy this product. It supports the body's ability to better break down foods. There are many things that can decrease your enzymes like overly process foods for example. After using this product for close to a year now I have noticed less bloating which I would mostly get from meat and dairy products. 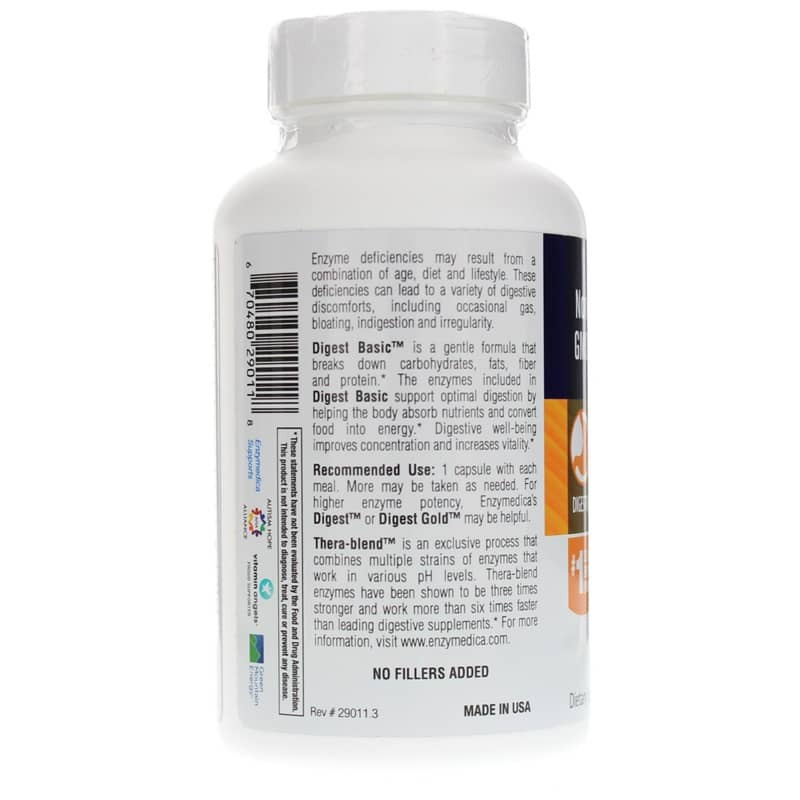 I have a happier gut and you will too if you use this product. If you need a boost in your digestion this is a good one! I love ordering from natural health concept because the customer service is great, I get my order fast, and the prices are better than other places. I will be a customer for life. Got it from Whole Foods to try out my God what it has done for my body. This is a great product I will be buying it for life.